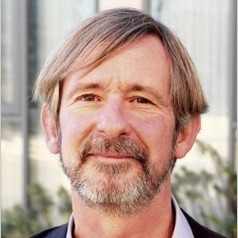 Hugh Davis is Professor of Learning Technologies in the Web and Internet Science Research Group (WAIS) at the University of Southampton. He is also one of the University Directors of Education and he is the Director of the Centre for Innovation in Technologies and Education (CITE) which is a cross university collaboration between faculties and professional services to research and enhance the student and staff experience in education. The CITE team are responsible for supporting blended learning throughout the university, and the production of MOOCs in collaboration with FutureLearn. He is also Director of the Professional Development Unit (PDU), with responsibility for academic and staff development and accredited courses in academic practice. Hugh has been involved in hypertext research since the late 1980’s starting with an interest in the applications of hypertext for learning, going through open hypertext systems and then to architectures for adaptation and personalisation. He has extensive publications in these fields, and experience of starting a spin-off company with a hypertext product. His current research interests are all concerned with how technologies can change our perception and experience of learning (which is a branch of Web Science), and include personal learning environments (PLEs), educational repositories (EdShare), educational analytics and semantic applications in education. He has considerable experience of applying the outputs of research to create real change in educational practice. He is a passionate believer in the importance of sharing and open data. He has led many projects focusing on both the technology and application of technology in education and educational innovation and change. Hugh is currently interested in project collaboration and recruiting excellent PhD students from a range of backgrounds, in the areas of Learning Analytics, Patterns in Learning Design, and Institutional Benchmarking.